This is your single destination to find all events happening in sustainability in the textile, apparel and fashion industry around the world. If you know of an event that should be in this list, let us know! In conjunction with the exhibition Scraps: Fashion, Textiles, and Creative Reuse, a discussion with two fashion leaders whose companies are at the forefront of the industry’s sustainability movement. Eileen Fisher, who founded her namesake company in 1984, and Nellie Cohen, Patagonia’s Worn Wear program manager, will explain how their organizations have innovated the reuse of textiles in the production process and transformed “closed cycle” design into a profitable business model . Moderated by Associate Curator, Textiles, Susan Brown. For more and latest information, click here. The first ever BCI 2017 Global Cotton Conference will bring the entire sector together to shape a more sustainable future for the cotton industry. The conference provides a unique opportunity to explore themes at field-level, in the value chain and in consumer-facing business. Come and join industry experts, business leaders and other key stakeholders to share perspectives on the keys to unlocking a better future for cotton. Prior to this public conference, BCI will host a half-day members’ only meeting with relevant organisational updates on membership benefits, governance, and strategy. This forum builds on the work of several Innovation Forum conferences covering sustainable apparel, cotton, ethical trade and circular economy. The biggest business opportunities for the apparel sector in developing more sustainable supply chains will be debated. New business models and circularity, the latest traceability technology, where the biggest business opportunities lie, how one can collaborate with others, learn to negotiate internally, measure and benchmark results, and where digitalisation can take businesses will be discussed. BSR will bring together apparel-sector member companies for a breakfast event on supply chain sustainability in China. For more & latest information, please visit http://www.bsr.org/en/events/members/new-directions-in-apparel-supplier-engagement-in-china. The GOTS conference provides the ideal opportunity to find out about organic textile processing in India, regionally, and globally. It will also educate and stimulate attendees with presentations and discussions about GOTS-related brand experiences, production practices, and policies. The conference is officially supported by International Federation of Organic Agriculture Movements (IFOAM). The First International Global Organic Textile Standard (GOTS) Conference will be held Friday, May 22, in Mumbai, India. Early Bird registration closes March 31. Companies representing the entire organic textile supply chain will learn about brand and manufacturer experiences with GOTS, as well as the role of local and international policy. There will be also a technical session focussed on Audit Checklist, Risk Assessment and Water/ Energy Management Tool. Sustainability Assessment Webinar Part 2: What’s Next? On April 22 Textile Exchange held an interactive webinar to introduce and review the Organic Cotton Sustainability Assessment Tool (OC-SAT) and its key findings. The second webinar in this two part series is scheduled to take place on June 3 and will delve deeper into the world of sustainability assessment. A number of existing tools will be introduced before an expert panel discussion on the future of sustainability assessment for the industry. Should there be one set of indicators? What should be included? How should data be collected? The panel is set to include Daniele Giovannucci, President of the Committee on Sustainability Assessment (COSA), Dr Christian Schader, head of sustainability assessment at FiBL in Switzerland, Francesca Mancini, Sustainable Agriculture Expert at FAO, and GLASA award finalist Ben Ramsden, Pi Foundation’s Accounting in 3D. Sustainability in Fashion and Textiles is a four-day series of lectures, discussions, site visits, and hands-on workshops focusing on sustainability and technology in fashion and textiles. Designed for industry professionals as well as academics wishing to broaden their understanding of sustainability and how to support its integration into the industry, this interdisciplinary program will be important for designers, technologists, educators, and those involved in creation or production, as well as those seeking greater business and professional knowledge. Welcome to the 5th annual International Fiber Recycling Symposium. Past events having been held in Yokohama and Kyoto Japan, the U. S., and the U.K. The intention of the Symposium is to bring together industry and academic research to exchange current best practices, new ideas, and form relationships for future exploration and production procedures. This event will provide an opportunity to showcase both industry and academic researchers’ new technologies and best practices in utilizing reprocessing, reuse, and regeneration of such waste. Advanced methods of fiber reinforced plastics (FRP) recycling serving as a worldwide forum in which the scientists and industries in these fields will meet and discuss their recent progress and achievements. BCI Members from the entire cotton supply chain will gather to learn, network and advance their Better Cotton procurement. Attendees will leave inspired by fellow members and Better Cotton farmers from around the world. New technologies are disrupting the industry and have the potential to accelerate us towards a more sustainable future. SOURCE Summit 2015 aims to take an in depth look at these transformative technologies. From expert panels to tailored networking, inspirational masterclasses and more, SOURCE Summit delegates will walk away equipped with knowledge, connections and motivation they need to drive forward industry change. My Suppliers Have Completed Higg. Now What? The Sustainable Apparel Coalition’s Higg Index represents a giant step forward for sustainability in the apparel and footwear industries. For the first time, a single, standard framework can be used to assess – and compare – sustainability performance and improvement opportunities throughout the value chain. The industry has begun to use the Higg Index in significant numbers. However, simply completing a Higg Index assessment does not result in sustainability and business impact; action is required. But what actions should you recommend your suppliers take? How can you sift through all of the valuable data hidden in your suppliers’ Higg Index assessments and determine what your most significant risks are and the actions to mitigate those risks? Mosaic Sustainability and Indicate Advisory Services have partnered to co-present a webinar on a data-driven approach to identifying the most impactful actions to take in your supply chain based on the Higg Index assessments you receive from your suppliers. Please note we are offering 2 times for convenience and it is not required to attend both. The Emperor’s New Clothes sees the RITE Group return to the University of Leeds with a reenergised and refocused approach to sustainability in the world of fashion and textiles. Recognising that the industry needs a step-change in its approach to sustainability in terms of design, technology and collaborative action, the line-up for the conference is as exciting and thought-provoking as it is unique. The biyearly international bluesign® conference will take place for the fourth time on July 13/14, 2015 in St.Gallen. Again top-class speakers from science and industry will speak under the motto “The blue way”. bluesign technologies is proud to welcome Prof. Dr. Gunter Pauli, Author, Activist and Entrepreneur, ZERI Institute, and David de Rothschild, Adventurer and environmental storyteller, Founder of The Lost Explorer, two highly renowned personalities for the key note speeches. As platform for the responsibly acting textile industry the audience of the conference includes chemical suppliers, textile and accessory manufacturers, brands as well as interested person of the industry and beyond. Be inspired by insights into Blue Economy, Blue Chemistry and Blue Competence, and meet the recognized experts. In conjunction with the Texworld NY trade show July 21-23. The workshop topic is cellulosic based fibers from soup to nuts through the full supply chain with representatives from manufacturer Lenzing, pulp processor Sappi, NGO Canopy Planet, a yet to be named apparel brand, and Textile Exchange. Stay tuned for more details in upcoming communications. This is a webinar overview of the 2014 Preferred Fiber and Materials Report (released July 15) where the writers of the report will walk us through the methodology and trends found within. The report is a collection of data about raw materials that are used to create textiles such as apparel, sheets and towels. The intent of the report is to educate the textile industry about more sustainable material choices and resources. Textile Exchange is working with the Sustainable Fashion Academy on planning a workshop for the August 28 following the symposium and award ceremony. For more information and if you would like to be kept informed as the plans for the workshop progress please contact here. Building better product starts with understanding what happens at the end of a product’s life. You wouldn’t attempt calculus without knowing basic math, and you can’t build a truly sustainable product without considering its entire lifecycle. Explore how products can be reused and returned to the supply chain to reduce our industry’s impact. REvolve shares the latest insights on closed loop textiles through hands-on activities, projects, and discussions. For more and latest information, please click here. The retail industry is changing faster than ever before. Stores, products, markets, supply chains, operations – none is exempt. And consumer behavior is changing even faster. Does your sustainability strategy need to change to keep pace? Or, perhaps you just need a spark to take it to the next level. Just as you’re a catalyst for change within your organization, the Retail Sustainability Conference is your catalyst for success! From Farm to Fabric at Manufacture NY Join the gang at Manufacture New York in Brooklyn next week for a two-day symposium on natural fibers, local textile production, and sustainability in fashion. The program is a whirlwind of activities, including fiber-processing, dyeing, and felting workshops and a panel discussion featuring some of the industry’s leading authorities: Author and educator Sass Brown, Parsons The New School for Design’s Timo Rissanen, designer Daniel Silverstein, and artist-designer Mimi Prober. How measuring sustainability can help you address inefficiencies, resolve damaging practices, and achieve the environmental and social transparency that global consumers demand. Join the United States Fashion Industry Association (USFIA) to learn about the Sustainable Apparel Coalition (SAC) and SAC’s centerpiece tool, the Higg Index. For more & latest information, click here. The Sustainable Angle is organising the 5th Future Fabrics Expo and sustainable textiles seminar (seminar details TBA) inside Fashion SVP fashion manufacturing and sourcing fair at Olympia Central Exhibition Centre, London. The 5th Future Fabrics Expo will again showcase a diverse range of several hundred individually selected fabrics with a reduced environmental impact sourced from dozens of international mills and suppliers, displayed with individually researched sustainability information. The International Textile Fair and the Ethical Fashion Forum’s sustainable fashion business platform, SOURCE, are pleased to announce a partnership to bring a dedicated sustainability seminar to the October tradeshow in Dubai. Mallory Giardino, SOURCE Membership Director, will present a seminar on both days of the tradeshow looking at the business case for sustainability in today’s fashion industry. With over 50% of global online consumers now willing to pay more for products and services from companies that are committed to positive social and environmental impact*, sustainability is no longer about philanthropy; it is a huge business opportunity for fashion businesses to tap into. With the mandatory implementation of Zero Liquid Discharge at textile units’ deadline coming close, a workshop on the same has been organized at the 5th Annual Summit of Sustainable Business Leadership Forum. Some of the key panellists include Dr. M. Madhusudanan, Scientist, CETP/STP, CPCB; Palanivel Rajan, COO, Asian Fabricx (Tamil Nadu); V. Rao, Vice President, PSPD division, ITC Limited; and Pradeep Samajhdar, Head Business Development, Arvind Envisol. After the panel discussion, there will be a workshop on de-constructing ZLD to understand various components and business case around it. Save the date! Texas Organic Cotton Marketing Cooperative (TOCMC) invites you to join the annual Fall Field Day on Tuesday, October 20, 2015. This event will take guests into the heart of the South Plains of Texas, where TOCMC members produce most of the organic cotton grown in the U.S. You will receive an up-close and personal view of organic cotton production and organic farmers and their families. Every year since 1992, the BSR Conference has brought together 1,000 leaders in sustainable business to share their expertise and knowledge. Many apparel brands and retailers like Abercrombie & Fitch Co., The Gap Inc., H & M Hennes & Mauritz AB, Levi Strauss & Co., etc. are members with BSR. Following the overwhelming response of the last edition of the show held in Bangalore, NuernbergMesse India jointly with ICCOA (International Competence Centre for Organic Agriculture) announces the 7th edition of BIOFACH INDIA together with INDIA ORGANIC. Keeping the bright future of the Indian Organic Textile industry in mind, BIOFACH will have a “Textile Pavilion” once again with exhibiting companies showcasing their organic textiles to visitors and buyers. The annual Cradle to Cradle Products Symposium and Innovation Celebration is a gathering of business leaders from across industries engaging in a ‘community of practice’ around Cradle to Cradle philosophy, sustainable design, and a celebration of innovation toward a Cradle to Cradle world. Join us for a day of building on success and engaging in collaboration for shared success. For more & latest information, please click here. Garment and textile production is often associated with a range of sustainability issues. This Masterclass will specifically support small and medium sized retailers to understand their role, their influence and how they can increase sustainability in store and in product. After participating in the Masterclass, retailers will be left with a concrete plan of action to take this forward. When: The workshop consists of three half day sessions on November 16, 18 and 30th. Where: Click here to register and know more. Dyeing and finishing of textiles and garments requires large amounts of water, energy and chemicals. Through training, interactive exercises and knowledge sharing participants will gain insights into how to understand and reduce their impact. In addition to workshops and meeting sessions, participants receive to up 10 hours of tailored support and advice. When: This is a series of 6 workshops conducted on November 10, 17, December 8, 2015 January 19 2016. To know the complete schedule click here. The materials and fibres used within garments and textiles are linked to varying environmental and social issues. This Masterclass will introduce the range of more sustainable fibre options available and the benefits they can bring, as well as, answering key production questions related to quality, availability and cost. This Masterclass will furthermore help brands identify ways to maximise their impact through integrating more sustainable fibres. A key outcome of the Masterclass will be to provide participants with a tailor made strategy and action plan. Organised by the Society of Dyers and Colourists India, “Clean and Green Garment Processing” is all about taking the initiative to create awareness about water among the colouration and fashion industry for now and in the future. This event will cover challenges faced by the dye houses in optimising the use of water for colouration of textiles. It will also look at the benefits of getting it right, dye house best practices, the role of the retailer and the future potential through technology and innovation. Fantastic line up of speakers is also planned. Our endeavour is to bring such interactions closer to the Industry. Attendees will get an opportunity to connect with others from the coloration industry in both the technical as well as business aspects. Cotton 2040 aims to catalyse current sustainability initiatives in the global cotton industry by integrating and focusing the activities of different players to create a systemic shift across the sector. It enables industry stakeholders to align the work of different initiatives in key areas needed to mainstream sustainable cotton. On 8th March 2016, Forum will be convening a meeting of senior level stakeholders from across the industry to co-create working groups for the four workstreams outlined above. Join TriplePundit and C&A Foundation on Monday at #CottonTalk to discuss the drive around the sustainable cotton industry, and why it is making a huge difference globally. Providing their thought leadership during the conversation, Richard Holland (WWF), Shona Quinn (Eileen Fisher), and Anita Chester (C&A Foundation) will weigh in and share their experiences. Each year the Sustainability Council organizes and hosts a business and design conference on the campus of FIT. The purpose of the event is to inform, involve, and inspire the entire FIT community about sustainability and how to incorporate sustainability as a model into all aspects of what we do. The conference is free, but you can register here. Webinar: Partnering for results: how can public-private partnerships support deforestation-free supply chains? Adopting corporate commitments to deforestation-free supply chains is a lot easier than achieving them. Hence, many governments are joining efforts, and involving companies, to formulate and support new policies and measures that can reduce carbon emissions from forest loss. • How can the private sector benefit from government efforts to reduce deforestation, and vice versa? • What public-private partnerships, programs and initiatives are underway, that have the aim of reducing or removing deforestation from commodity supply chains? • What commitments have been made by companies to source commodities from certified jurisdictions? • What is the transformative potential for the COP21 Paris agreement from December 2015? • How can commitments of the private sector to zero deforestation be operationalised? • What are the implications of COP21 for commodity producing, trading and purchasing companies? In May 2016 the next generation of fashion designers, communicators and business executives will gather at the world’s largest event on sustainability in fashion – the 2016 Copenhagen Fashion Summit – to engage with world leading brands, manufacturers as well as retail and government representatives. They will also present the industry with a framework to implement and operationalise the United Nations’ new Sustainable Development Goals into the value chain. As part of the renowned Copenhagen Fashion Summit, the world’s largest event on sustainability in fashion, this platform has proven to be a solid launch ramp for the next generation to speak their mind about the development within the industry that they are to inherit. Organised by Danish Fashion Institute on behalf of Nordic Fashion Association, this mega-event gathers international key players from the fashion industry, as well as experts, NGOs, opinion makers, media and politicians, in Copenhagen to catalyse a discussion on the evolution of a successful fashion industry in a world where new business models are required to tackle the growing sustainability challenges facing the planet and our societies. The theme of Copenhagen Fashion Summit 2016 is Responsible Innovation. The hope is to inspire, motivate, and give tools to implement a sustainable mindset and create a brighter future for the fashion industry. Initially launched in 2010 in Shanghai, the textile summit has established itself as Asia’s leading meeting place for sustainable textiles. In a unique collaboration with MCL News & Media, SAC and Messe Frankfurt, Planet Textiles chose to focus on Copenhagen in 2016. Changemakers activates a global network of social entrepreneurs, innovators, business leaders, policy makers and activists to build the movement for Everyone A Changemaker. C&A Foundation and Ashoka host their Fabric of Change Exchange on 12-13 May to focus on innovations for a fair and sustainable industry. Sustainability in Fashion and Textiles is a four-day series of lectures, discussions, panels, and hands-on workshops focusing on sustainability and technology in fashion and textiles. Designed for industry professionals as well as academics wishing to broaden their understanding of sustainability and how to support its integration into the industry. This interdisciplinary program is important for designers, technologists, educators, and those involved in creation or production, as well as those seeking greater business and professional knowledge. Learn from leading entrepreneurs what it takes to create a successful fashion business, with a social or environmental ethos. In this five-week, free online course Ethical Fashion Forum explores what sustainability means in the context of running a fashion business. This course is for anyone who wants to start or grow a fashion business, in a sustainable and ethical way. Who should attend – Professionals across the areas of traceability, corporate social responsibility, social compliance, environmental sustainability, responsible sourcing, chemical management, supply chain. See the full agenda here. Drop in, meet amazing people, share your ideas and learn from other people in this space… the events are planned on the last Wednesday of each month. – Please note: to ensure maximum learning in a small group, spaces are limited. The Responsible Wool Standard (RWS) was released on June 20 and is ready for action. To support brands that are interested in learning more about the standard and getting practical information on how to develop sourcing strategies, Textile Exchange is holding a training seminar just prior to the Outdoor Retailer Show on August 2 at 9:00 a.m. This training seminar is designed to meet the needs of brands that want to understand how to work with the RWS. Attendees will learn about the issues that the RWS addresses, get an understanding about the realities of farming and certification, and be educated on the different strategies to bring RWS wool into their supply chains. The more we learn and understand about our industry’s value creation processes and supply networks, the more we are realizing the importance of circular systems thinking and processes throughout the life-cycle of a product, from raw materials to post consumer material recovery. In this informative workshop focused on the role of recycled fiber and material in our industry, we’ll learn from seasoned executives with varying experiences and perspectives. What is out there that’s working now and adoptable? What is in development and deployable in the near future? What are thoughts on the more distant future about materials and circularity in our industry? What are some of the general challenges ahead of us and thoughts on how we can overcome them? Following immediately after Textile Exchange’s 2016 Textile Sustainability Conference and Organic Cotton Round Table (OCRT) in Hamburg, Germany, TE & FiBL will be jointly hosting an Organic Cotton Seed Summit. The Seed Summit is a continuation of the work of the OCRT’s Seed Task Force and the focus will be on building a resilient future for organic cotton. It is open to anyone with an interest in the future of seed in a time of climate change, concerns for biodiversity and inequality in seed access. Fashion Positive invite you to take action to advance circularity in the fashion industry with the Cradle to Cradle Product Innovation Institute and other fashion industry leaders. + A chance to learn more about how we see volume pooling as a critical tool for pushing circularity in the apparel industry. The 2016 Textile Sustainability Conference is a place where industry experts from around the world gather to share progress, knowledge, and best practices. This year’s event will focus on how the industry will accelerate the growth of Preferred Fiber and Materials. Featuring progressive sessions led by the world’s foremost thought leaders. At the same time there will be hands-on learning and networking opportunities. TE Conference attendees will leave inspired, equipped and with a network of connections to produce positive impacts. TExcursions (Industry Tours). Visit the Conference website for details. International experts and industry actors will share their knowledge and experience regarding sustainable cotton during the “Picking Sustainable Cotton” seminar on 17 in Utrecht. The main question of the seminar is: Why is it so important that brands and retailers source sustainable cotton? Pesticides Action Network UK, Solidaridad and WWF, publishers of the report Mind the Gap, will explain why the need for more uptake is so urgent. Brands working with Organic cotton, Fairtrade cotton and Better Cotton will share their experiences in a panel discussion. Why did they choose for the standard they work with, or why did they choose for a combination of several standards? What did these choices mean for their existing supply chain, or even their products? Join EcoChic Design Award Fashion Academy to be inspired by the positive power of fashion. Attend for an introduction to sustainable fashion design including theory and practical exercises on the techniques of zero-waste, up-cycling and reconstruction to further your design skills. You will also hear from sustainable design experts. Equip yourself to change the future of fashion and enter the world’s largest sustainable design competition- the EcoChic Design Award 2017! 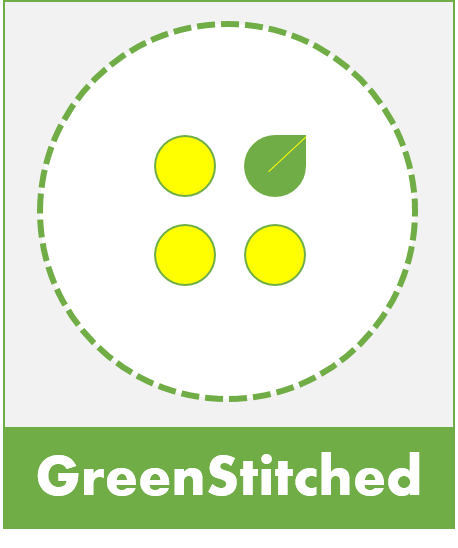 The GreenStitched Film Festival is a day long screening of documentaries that explore the nuances of sustainable fashion. Movies will talk about themes like cotton, wastes, design, slow fashion, fast fashion, innovation, etc. The entry is free and open to the public. During London Fashion Weekend 24th-25th February The House of St Barnabas, Orsola de Castro and Fashion Revolution invite you to explore the challenges facing the fashion world, discuss the solutions, meet the innovators, and learn about actions you can take to make real positive change. The Fashion Positive Circular Fashion Learning Day is a learning and networking-focused day with lectures, discussion and facilitated group work covering the Cradle to Cradle Certified™ approach to circular fashion with focus on circular materials and design for circularity. The day is geared toward students and fashion professionals. Lunch is provided. Fashion Positive is a sector industry initiative of the Cradle to Cradle Product Innovation Institute. We provide thought leadership on circular fashion and scale access to circular materials for the fashion industry.